Tucked away where everyone will see it is this tiny library. It's actually a free book exchange with a twist. 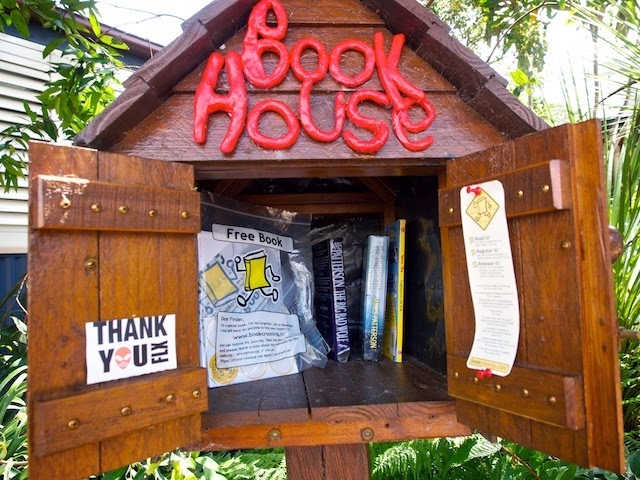 Check out www.bookcrossing.com if you like reading and sharing books with others, perhaps you have a book that will end up here in Maleny for a while. I remember book crossing I did a bit of that ten years ago.